To mark the final C.P. Company collection designed by Massimo Osti, a special collection of 10 jackets was created reflecting many of the major inspirations and historical references he used in his design work and as a showcase of the history and tradition that C.P. Company had become known for by that time. A 72 page hard back, bound book was produced which provided an overview of the collection explaining the stories and inspirations behind each of the pieces. Published only in Italian, it is a beautiful book consisting of water-colour style, hand drawn images of each piece, an original mounted photograph of the subject relating to the jacket, protected by a transparency featuring a famous quotation, and then a full explanation of the background story which lead to the creation of each piece. Each chapter finishes with an image of the final production version of the jackets. Imagine stopping time. Travel back to explore and examine the culture of the past. Imagine then, discovering an archive of over 20 000 pieces of clothing that have created history over the last few decades. Imagine having them pass one by one before your eyes and reliving the sensations that allowed them to be created in the first place and the stories that made them unforgettable. And so, this is what happened. One day we locked ourselves in our archive and we allowed to pass in front of our eyes our entire past production and it was then that the idea came to us to create a new collection that we have simply called “C.P. Archivio”, a collection that represents our story and our tradition. The magic of each one of these pieces is born from the fabric, which remains constant forever. This is one of the strengths of C.P. Company, the tradition, the essence that exists outside of time and fashion. After a long time producing more than 140 000 metres of fabric per year, this same fabric continues to transmit strong sensations. Ten years of specialist treatments, and the research that goes with it discovering new methods of working with fabrics, ensures every single piece is steeped in strong emotions. To achieve this, we buy exclusive fabrics and personally follow all stages of production for each piece, because before distributing them, we want to be sure that they are finished properly in every little detail. This is ‘C. P. Archivio’. A collection with a strong personality that represents the classic as well as the fashionable and that confirms the historical heritage of C. P Company. The first piece featured is the ‘Kerouac’ jacket, a homage to the iconic American author. The aim was to design a jacket that reflected his free and tormented spirit and which Kerouac would have “definitely considered a loyal friend, and indispensable for all his adventures and travels from coast to coast across the United States”. The jacket features a collar with an unusual cut and an inner detachable lining to suit all seasons. It was intended to be a jacket for all year round use aimed at the traveller who was always on the move “with the ability to adapt to any situation, always looking for new destinations and friends with whom to share experiences”. Inspired by the heavyweight, virtually indestructible coat worn over his uniform by Field Marshal Bernard Law Montgomery of the British Army, the ‘Dunker’ was originally called the ‘Montgomery’. The book features a photograph of Montgomery with his comrade in arms, Canadian General Henry D.H. Crerar, who is actually wearing the jacket. A duffle coat style piece, ‘Monty’ wore it both on the battlefield and whilst on board ships when he was making long voyages to his next military engagement. Most famous for his successful campaign in North Africa against the the German commander, General Rommel, C.P. Company decide to rename the jacket the ‘Dunker’ due to Montgomery’s key role in organising the successful evacuation of 350 000 Allied troops from Dunkirk in 1940. Miller, whose marriage to Marilyn Monroe is featured in the photograph which accompanies this chapter, was sentenced to a $500 fine or thirty days in prison, blacklisted, and disallowed a US passport in 1957 by the Committee. In 1958, his conviction was overturned by the court of appeals, which ruled that Miller had been misled by the chairman of the HUAC. The ‘Buck’ is dedicated to the trappers, scouts and Indians who first conquered the likes of the Canadian Rockies and the territories in British Columbia, including the Peace River Canyon. The ‘Buck’ is waterproof , features spacious pockets, has a quilted lining for extra warmth and a very relaxed cut, essential for those facing the Great Outdoors and travelling many miles with limited equipment. The Look Book suggests “where adventure meets legend, there you’ll find Buck”. Continuing the strong North American influence in the Archivio collection, the Flatiron is dedicated to the first skyscraper that was built in New York (taking only 5 months to construct) and which became the site of the C.P. Company store which opened in the city in February, 1991. The jacket, another all-year round use piece, features a wide collar designed to provide protection from the strong winds the city often experiences in Spring that are typically channelled down the streets due to the number of high-rise buildings and a detachable, quilted inner providing warmth on cold, snowy winter days. Perhaps the most iconic piece ever for all C.P. collectors worldwide, the Mille Miglia road race began in 1927 as a contest for “gentlemen drivers” designed to show that Italian roads of the time were safe and that cars could maintain a high average speed on them. In reality, drivers faced hazardous conditions over 1600 kilometeres from Brescia to Rome and back, typically being confronted by sand, gravel, snow, ice rain and mud along the way. Consequently, the Mille Miglia jacket features a hood with integrated lenses which would have been ideal for driving an open-topped vehicle in the rain. Large, roomy pockets were designed to house maps and stopwatches and a detachable, quilted lining would have been invaluable for use when the weather was cold. 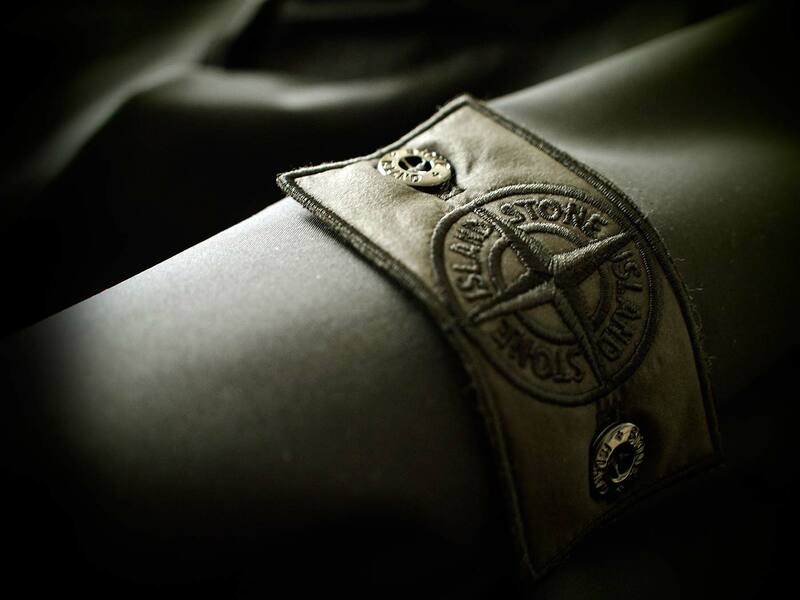 In short, the jacket was designed with great attention to every small detail and to be worn in all conditions. The piece remains a lasting testimonial to the courage and bravery of the drivers of the day who risked their lives in pursuit of glory. The courage and determination of Polar explorers was something that clearly appealed to Osti and none more so than the Norwegian explorer, Roald Amundsen. Amundsen had already been the first man to reach the South Pole and being someone who was constantly in search of new records, he wanted to be first to fly over the North Pole. Despite a failed venture in 1925 using two seaplanes, a year later he made a second attempt, this time abroad the airship Norge, designed and piloted by the Italian engineer, Umberto Nobile – Amundesn is said to have set highly specific requirements for the trip, including the uniforms of the five men who made the trip. Hence, the Norge jacket is a heavyweight piece designed for extreme weather conditions, with a quilted lining in the hood – a garment that would have allowed the airship crew to withstand the cold of high altitudes as there was no heating possible aboard the vessel. The Korean War was the first in which jet aircraft were used providing a contrast between Soviet and American technology. The lighter, more agile Russian Mig 15 fighters often had the better of dogfights against the heavier and slower F86 Super Sabre planes supplied by the US meaning the American pilots often faced great danger when conducting raids into enemy territory. They were comforted, however, by the knowledge that specialist Air Rescue Teams had been created who would do everything possible to recover them should something go wrong. The members of these teams were often volunteers, ready to sacrifice themselves for their colleagues, able to provide initial medical treatment and then get the pilot home safe and sound. To do so, they had to undergo specialist training, be expert in guerrilla warfare and survival tactics and utilise specialist equipment. This included their uniforms which involved a customised jacket employing camouflage and large pockets to accommodate emergency medical kits. These jacket also distinguished them from other soldiers. The jacket in the collection was named the Yalu due to an incident where the Rescue Teams retrieved four pilots from a mission which went wrong on the banks of the River Yalu and recognises the spirit and selfless courage of the men for whom risking their own lives behind enemy lines to rescue their colleagues was part of their daily routine. Italy was the first country to use aircraft for a commercial purpose when in 1917 the Italian postal service began to carry their parcels using planes. This marked a milestone in aviation history as previously aircraft had been viewed as only for military use or as extravagant playthings of the rich. Following Charles Lindbergh’s successful solo crossing of the North Atlantic in the Spirit of St Louis in 1927, there quickly followed development of numerous airlines around the world. The pilots of these first commercial planes were almost all ex flying aces of the First World War and whilst cabin crew had to wear strict, formal livery and uniforms, they preferred to wear their military outfits, including, most importantly, their jacket which they were most fond of and with which they had spent so many hours of flying time during raids and dogfights. This history inspired the ‘Pan Am’ jacket, designed to be practical, comfortable and with a specific cut that would not obstruct the pilot whilst controlling the plane. It also features double pockets and a detachable fur collar for less cold routes. The jacket takes its name from one of the first airlines that by the 1930s already had 1600 employees, including 80 pilots, and over a hundred aircraft which transported some 36 000 passengers every year. The final piece in the collection was named in honour of jazz musician, Chet Baker, who spent several years of his life in Italy. Baker and his melancholy trumpet conveyed deep emotion whenever he played and his free spirit, rebelliousness (he served over a year in an Italian jail on drug charges) and particular taste in clothes appealed to Osti. The waterproof jacket named after him features a leather collar and is precise and accurate in every detail, just as Baker himself was in delivering his improvised solos when he played. The attention to detail put into this one publication and collection is indicative of the passion that infused everything Massimo Osti typically produced. As his C.P. ‘farewell’, the collection is a fitting testimony to his talent and vision. Thanks to Peter and Denis and for their assistance in producing this article. This entry was posted in Books, CP Company, Vintage. Bookmark the permalink.